If you do not own a pair of binoculars and you do not have the available budget to afford a more expensive one, a good choice would be to get yourself a fairly inexpensive binocular like the Bushnell 10×42 All Purpose Binocular. Even if it is in the lower price range, the Bushnell 10×42 All Purpose binocular is nicely built and is made to satisfy the basic binocular needs like good magnification, decent optical elements and good quality build. 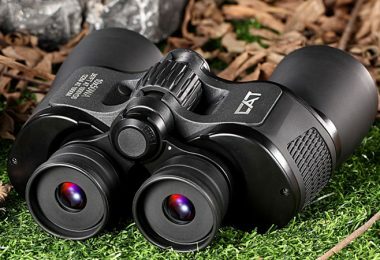 We will do an in-depth review of this binocular and its main competitors so you will be fully informed when trying to reach a buying decision. The Bushnell 10×42 All Purpose binocular is made from a hard plastic body with durable rubber coating on the exterior. The exterior coating features a soft texture and the Bushnell name on it for secure, non-slip grip. 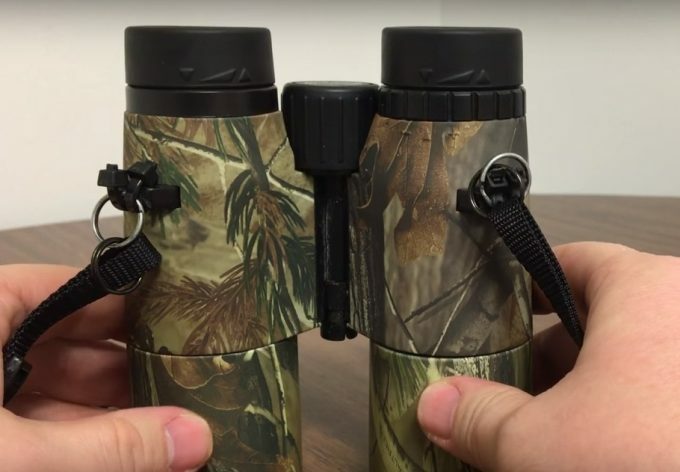 The design is ergonomic and easily fits in your hands and with its light weight of only 22 ounces, makes for a comfortable binocular that will not cause fatigue in your hands. The dimensions of the binocular are 5.75 x 5 x 2 inches, a compact size binocular that is easy to anywhere with you – to a concert, a sporting event or maybe on a hiking trip. This binocular is not rated as waterproof, only water resistant. This means that it lacks the necessary O-ring seals that make it waterproof, so you will have to be careful with it around water bodies on in heavy rain. It is, however, water resistant, which means that it is relatively safe in light rain conditions. It is rated as nitrogen purged, meaning that the internal atmosphere is filled with nitrogen gas to prevent fogging on the interior side of the optical elements. 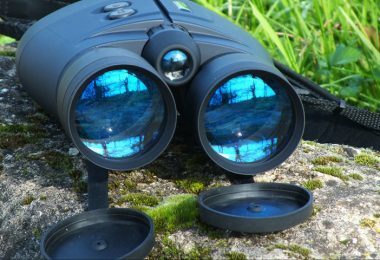 The magnification on the Bushnell 10x42mm All Purpose binocular is 10x – the object you observe will look 10 times closer. The objective lens diameter is 42 mm which is a fairly good size considering its compact design. The large objective lens means that it can gather more light in low light conditions. The prisms have roof design to save on weight and allow for a sleeker body, they are made from high-quality Bk-7 glass. The lenses are fully coated with a single layer coating on all air-to-glass surfaces. The coating helps prevent glare and light scattering, allowing for more light to enter the binocular and the produced image to be brighter. The exit pupil size of this binocular is 4.2 mm. This size is a relatively average for a good magnification binocular, enabling better performance in various light conditions. The focus on the Bushnell 10×42 All Purpose binocular is achieved with a central focus knob that sits on the hinge of the binocular. The focusing mechanism has smooth, quick motion, going from close focus to infinity in about half a revolution of the focus knob. The fast focus mechanism has indents for easier gripping and allows for faster and easier focusing on larger objects, enabling a more comfortable use in many different situations. The eyecups are twist-up style, having two positions and enabling eyeglass wearers a more comfortable fit. There is also a diopter adjustment option on the right side eyecup. The diopter adjustment ring has a notched design for easier grip and adjusting. The eye relief is 13.6 mm with fully extended eyecups, and 18.5 mm with the eyecups fully twisted down. 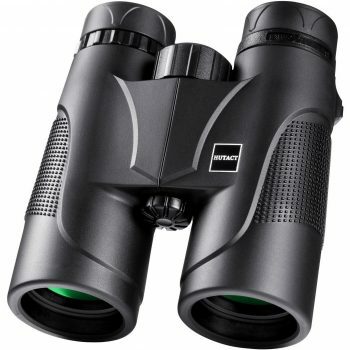 Closest focus distance of this pair of binoculars is 5 yards, a much greater distance than many of its main competitors. The field of view is 305 feet at 1000 yards, giving it a fairly good field of view suitable for some panoramic viewing. This binocular is not tripod adjustable, and the viewing experience is limited to the steadiness of your hands. The 10x magnification is excellent, but in an unsteady hand, it will not provide a good image. In the box along with the Bushnell 10×42 All Purpose binocular, are also included a carry case, neck strap, lens cleaning cloth and instructional pamphlet. The carry case for this binocular is made from nylon, with an attached webbing strap around it. The case closes with a Velcro strap to keep the binocular secure, and the webbing enables you to carry the case on your shoulder or attach it to a backpack. There is also a neck strap, and you can adjust its length so you can hang the binocular on your neck or carry it on your wrist. It’s also included a microfiber cleaning cloth, for wiping the lenses without the risk of damaging the coating. However, there are no lens covers or a rain – guard included, so you will have to be more careful when handling and storing the binocular. For the price of about $50, you will buy the Bushnell 10×42 All Purpose binocular with the carry case, neck strap and cleaning cloth. For this reasonable price, the product you will get has a fairly decent quality with good optics for all-purpose application with no specialty in particular. 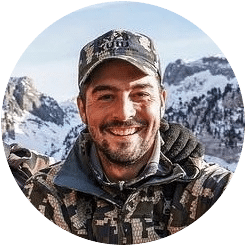 Many sellers will offer a 60-day money back guarantee for this product, and after that, they are under the Bushnell Limited Lifetime Warranty. 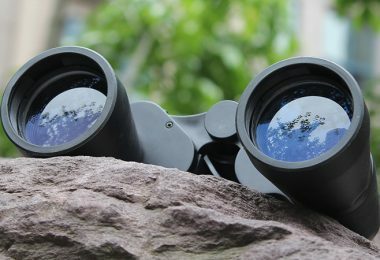 Although the Bushnell 10×42 All Purpose binocular is relatively cheap and you would not expect very high-quality product, there are several features that make it unique in its performance. Lightweight, compact design: The size of the pair of binoculars is considered mid-size, but the sleek design makes it very compact and easy to carry with you. High-quality Bk-7 prisms: The roof design prisms enable slim design and the fully coated lenses offer good light transmission and clear, bright image. 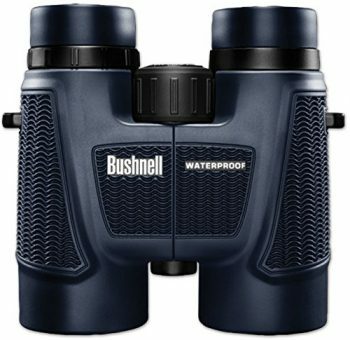 Water resistant and fogproof performance: Even though the Bushnell 10×42 All Purpose binocular is not rated as waterproof, it is still water resistant, which is a great feature for such inexpensive piece of optical equipment. Limited Lifetime Warranty: Even if it is in the low price range, this binocular is protected by the Bushnell’s Limited Lifetime Warranty. The Hutact 10×42 Professional Traveler HD Binocular is another good choice when it comes to the lower priced binoculars. It has the same 10x magnification power as the Bushnell reviewed here, and the same objective lens diameter of 42 mm. This gives it an exit pupil size of 4.2 mm. It has similar dimensions as the Bushnell at 5.6 x 5 x 2.3 inches and weighs 22.4 ounces. These features make it fairly comfortable to use and carry around. Unlike the Bushnell, the Hutact has the BAK-4 roof prism system, and has fully multi-coatings on the lenses, enabling for more light transmittance and better quality, brighter images. The eye relief is 15 mm, and the eyecups are a twist up style, the focus is achieved through a central focus knob, the field of view is 303 feet at 1000 yards. The Hutact Professional Traveler HD is waterproof with O-ring seals that also make it dust proof. It is also fogproof, filled with nitrogen internal atmosphere. The Hutact 10x42mm Professional Traveler HD binocular comes with a quality carry case, wide, comfortable neck strap, objective lens caps, eyepiece lens caps (rainguard), a microfiber cleaning cloth and an instruction booklet. It is also protected by 30 days money back guarantee and limited lifetime service warranty. Another example of Bushnell’s all-purpose binoculars, the Bushnell PowerView 10×42 Binocular is a good choice for a binocular. It has the same magnification power of 10x and the same objective lens diameter of 42 mm as the Bushnell 10×42 All Purpose binocular. It features almost the same dimensions as the All Purpose one and weighs almost the same. This one also has the largest central focus knob, the same eye relief and twist-up eyecups. The PowerView has multi-coated optical elements for superior light transmittance for bright, sharp images. The body has a durable patterned non-slip grip rubber armor that provides good shock protection. This binocular is not rated as waterproof, but water resistant and as fogproof, with nitrogen purging. It comes with a carry case, rainguard, protective lens covers, neck strap and in Realtree camouflage finish. It is tripod adaptable and is protected by the Bushnell’s Limited Lifetime Warranty. The Bushnell H2O 10×42 Binocular is maybe one of the most sold Bushnell products. It has 10X magnification power and 42 mm objective lens diameter, same as the Bushnell 10x42mm All Purpose binocular. This binocular features a beautifully designed body with a durable armored rubber coating with soft texture grip that has a firm, non-slip grip, and shock absorbing properties. It has twist-up eyecups, same as the Bushnell 10×42 All Purpose binocular. It has slightly bigger dimensions (7 x 5.9 x 3.1 inches) and weight at 25 ounces. The prism has roof design and is made from high-quality BaK-4 prism glass for bright, crisp images. The lenses have multi-coatings for increased light transmission. The focusing mechanism is the same in both Bushnell’s, with a large central focus knob for easy and fast adjustment. The eye relief is 17 mm, long enough to accommodate eyeglass wearers. Closest focus distance is 12 feet, and its field of view is 305 feet at 1000 yards. This one is tripod adjustable, to facilitate steady viewing. It is fully waterproof, with O-ring seals that protect it against water and dust entering the binocular, the internal atmosphere is filled with nitrogen for fogproof performance. They are sold with protective lens caps, rainguard, high-quality neck strap and a carry case and are also covered by Bushnell’s Limited Lifetime Warranty. 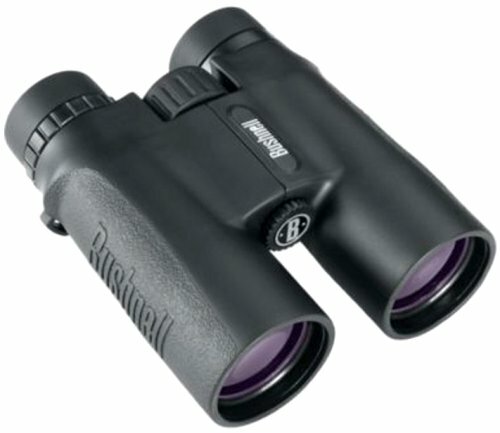 The Bushnell 10×42 All Purpose binocular is a good quality product from Bushnell. It has a 10x magnification power and large 42 mm objective lens capturing enough light even in low light conditions. The body is made from hard plastic and is coated with a protective rubber coating that provides durability and a non-slip grip. The prisms have roof design and are made from BK-7 glass, and the fully coated lenses enable excellent light transmission. The focus is achieved through a large central focus wheel, the exit pupil size is 4.2 mm, the eye relief is 13.6 mm to 18.5 mm, closest focus distance is 5 yards, the field of view is 305 yards at 1000 feet. Even though the binocular is not waterproof, they are rated as water resistant and can withstand to be exposed to light rain or dampness. The internal atmosphere is rated as nitrogen purged to resist fogging up of the internal glass surfaces. 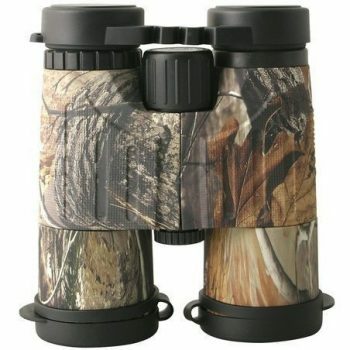 The binocular comes with a nice nylon carry case with webbing, adjustable neck strap, and a microfiber cleaning cloth. It is protected by the Bushnell’s Limited Lifetime Warranty. Here we did an in-depth review of the properties of the Bushnell 10×42 All Purpose binoculars. 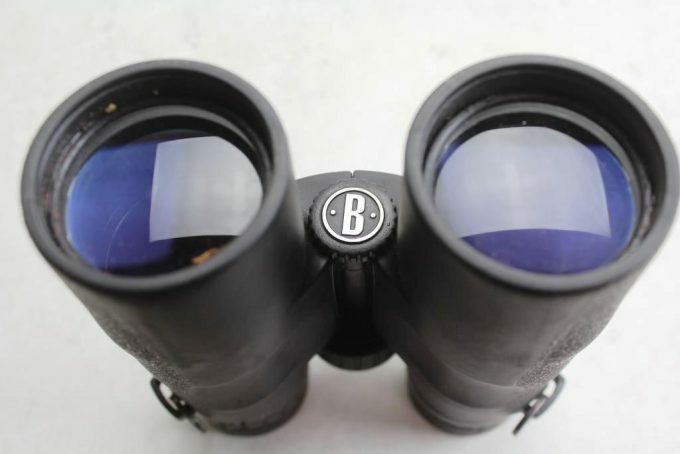 We have also made a comparative analysis of its main competitors, so you will be completely informed when looking into buying a low-priced binocular for yourself or maybe as a present for a kid. 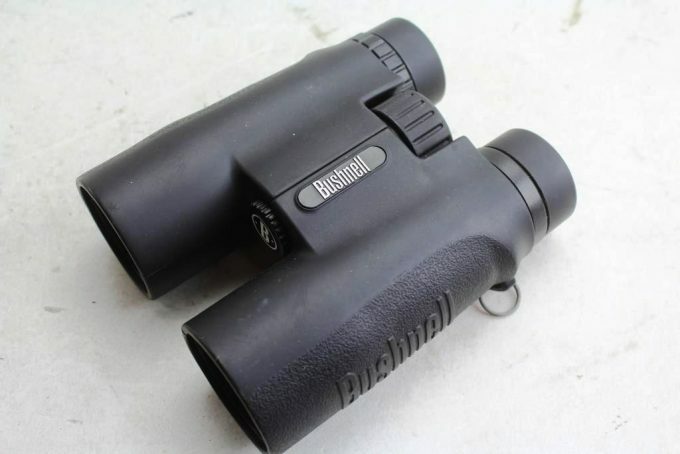 The Bushnell 10×42 All Purpose binocular is a very inexpensive option for people who want to own a pair of binoculars and just use it for general sightseeing or observing concerts or sporting events. It has a lightweight body, durable rubber armor coating, good magnification, decent quality prisms and fully coated lenses. 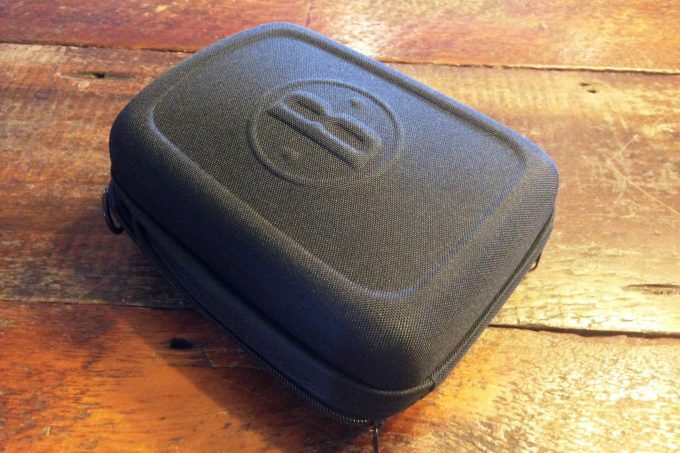 However, it is not waterproof, and it does come with its own carry case and neck strap and is protected by the Bushnell’s Limited Lifetime Warranty. 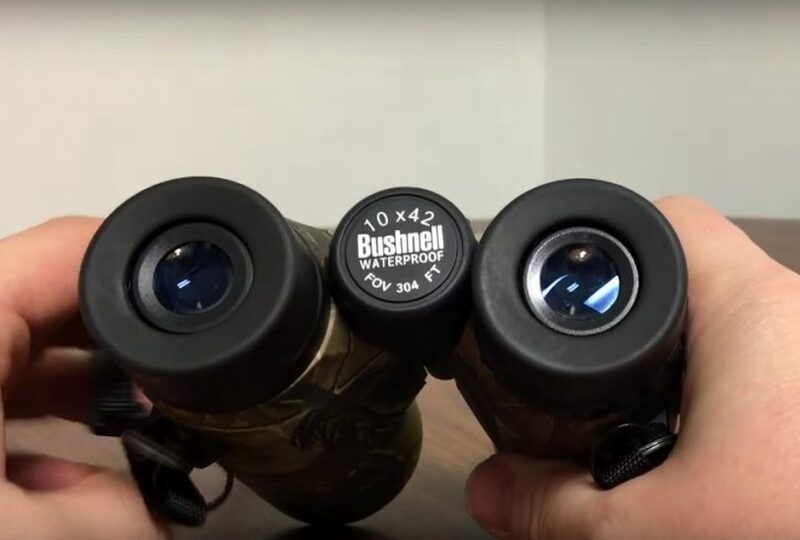 If you want to own a binocular just for the fun of it and you do not want to spend top dollar for one, the Bushnell 10×42 All Purpose binocular is the choice for you. Lastly, we’d love to hear from you. If you have experience with any of the binoculars that we have discussed, let us know about them in the comments section below.